SPEARFISH, S.D. 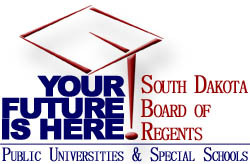 – The South Dakota Board of Regents this week approved new academic program requests from five public universities to meet emerging workforce trends across the state. Permission to deliver the BHSU undergraduate degree in corporate communication through online delivery. Coursework in this bachelor’s degree program emphasizes strong written and oral communication skills, teamwork, and problem solving. It is expected to appeal to place-bound students who seek employment in communication fields, which is a growing segment of the regional job market. A new undergraduate certificate in radio and television production. This 12 credit-hour certificate will offer introductory training and education related to producing radio, television, and streaming media. For students who want to pursue further study, these credits will integrate seamlessly into several bachelor degree programs at BHSU. 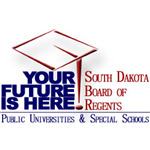 A new specialization in software engineering within Dakota State’s bachelor of science degree in computer science. This specialization focuses on the systematic development and application of techniques to create reliable software. Double-digit employment growth is expected in this field, which prepares people to create, edit, and test software programs. Coursework will be delivered on the Madison campus and online. Two new minors—in social work and creative writing. A new minor in social work will prepare graduates for work in human relations, social assistance programs, and related fields. Careers in social work and human services are growing due to an aging population and the growth in health care administration. A minor in creative writing will expand opportunities for non-English majors at DSU to gain additional competencies in writing. The new minor is expected to appeal to students majoring in communication studies, elementary and secondary education, music, theatre, and history. Permission to offer through online delivery two existing SDSU degrees: the bachelor of science degree in human development and family studies and the master of arts degree in English. Online delivery of both programs opens up new opportunities to reach place-bound students and those who seek to advance their careers through continuing education. A new specialization in clinical studies within USD’s existing B.S. degree in health sciences. This focused area of study is intended for students seeking future careers in medicine, physician assistant studies, physical therapy, and occupational therapy. Coursework in this specialization will better prepare students for the demands of graduate study in clinical fields. Permission to offer the undergraduate certificate in arts in health through online delivery. Nearly half of the healthcare institutions across the U.S. have arts programming tailored to their healthcare facilities. This certificate complements studies in a traditional major, while the student develops specialized skills to integrate arts programming at healthcare sites.